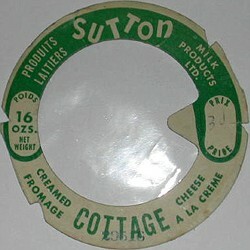 The Boulanger family moved to Sutton in 1945. 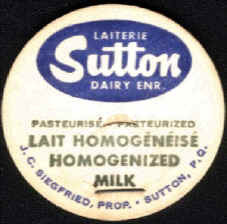 A trained administrator working in the dairy industry, Harold Boulanger decided to found Sutton Dairy Products with two partners, Charles Dionne and Albert Deslauriers. 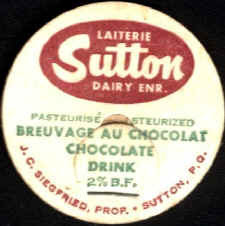 A key enterprise until 1980, that specialized in the production of butter, skim milk powder, protein and pasteurized chocolate milk. 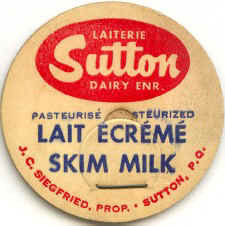 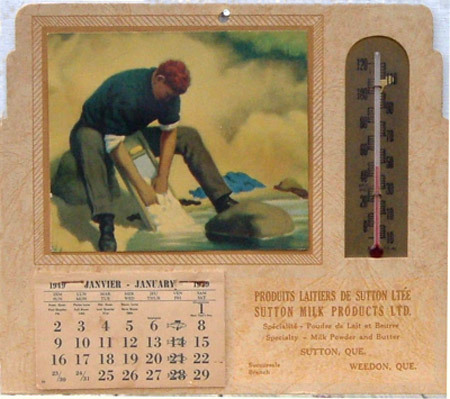 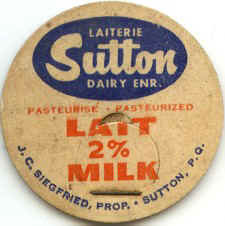 Sutton Dairy Products was typically very busy for four to five months during the summer, but in the winter, was forced to lay off employees. 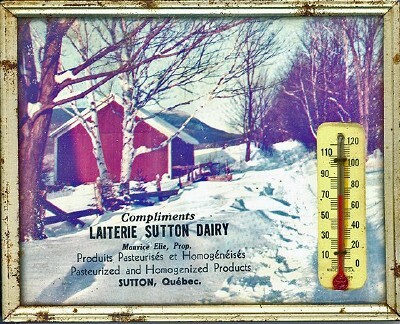 This situation led the owners to begin thinking about a business that would keep their personnel busy during the winter months. 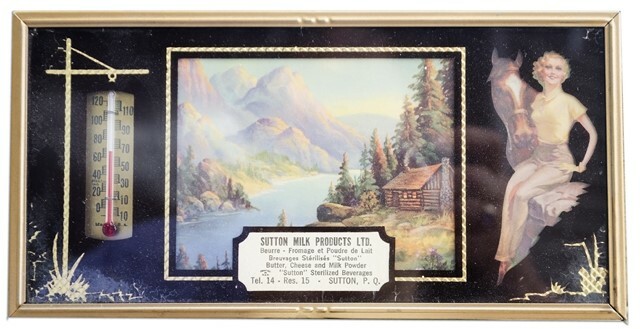 At that time, people were wilderness skiing at Sutton, more specifically on the North face of Mohawk Lake, the mountain next to the actual resort. 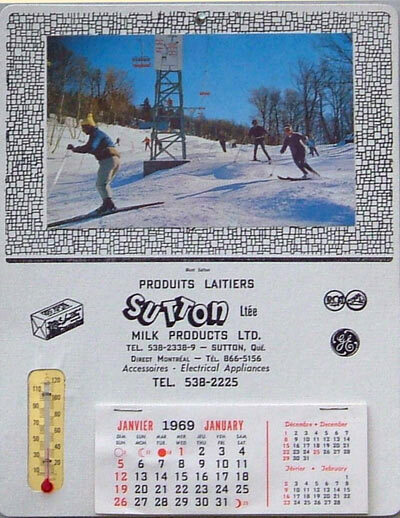 During the winter of 1946, the young Boulangers began their love affair with the sport of downhill skiing. 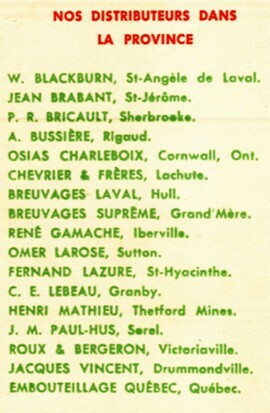 In 1948, Gérard Ménard bought the dairy. 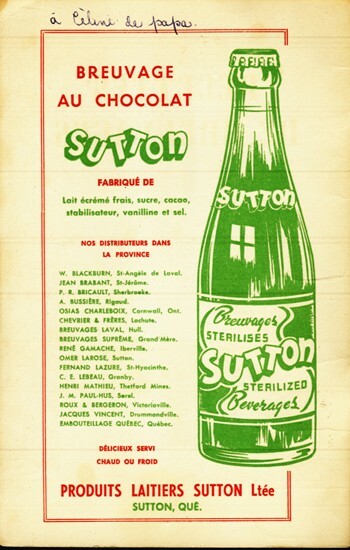 Later, he sold it to Maurice Elie and later, Mr. Elie sold it to Jean-Claude Siegfried. 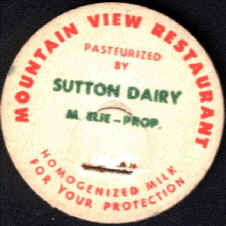 We were the owners of the Sutton Dairy between 1962 to 1972. 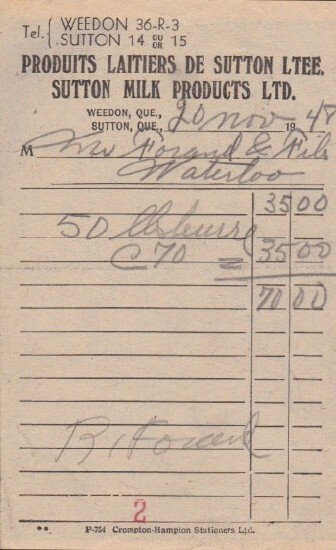 We sold the house to Mr. Alban Houle, vegetables merchant, and the Dairy was sold to Marc Hamel owner of the Cowansville Dairy. 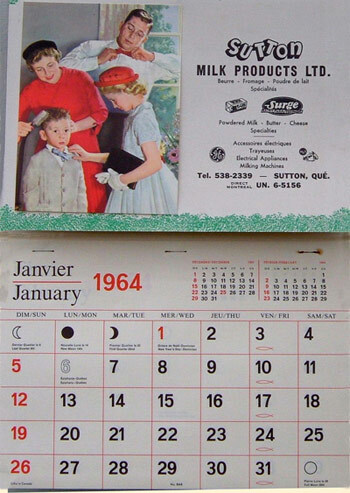 Since 1973, we live in United States. 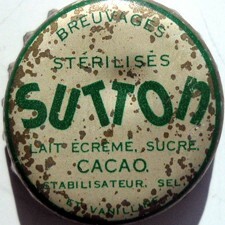 Jean-Claude continued to work R&D in European specialties but now we are retired since 1996. 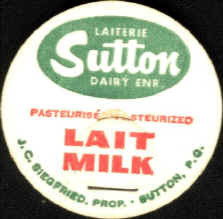 We were please to find relic of our ancient dairy! 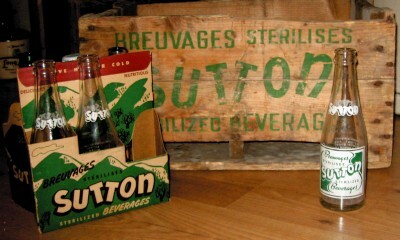 We keep good souvenirs from it, as well as from our good friends.